Police patrols will be targeting anti-social behaviour. Police officers in the Pocklington and Market Weighton areas are continuing to carry out high visibility patrols to stop anti-social behaviour. In Pocklington, these patrols include regular checks on the peripheral areas at Pocklington Infants’ School, Maxwell Road (periodic reports of criminal damage and youths causing annoyance), All Saints Church (periodic reports of anti-social behaviour on an evening), the tennis club (reports of anti-social behaviour) and town car parks (reports of low level anti-social behaviour). Anyone caught engaging in such activities will be dealt with jointly with the East Riding of Yorkshire Council. To reduce anti-social behaviour caused by drivers and its impact on the communities within the Wolds Weighton area as well as taking positive action against offenders who cause ASB with their vehicles. Hotspot areas around Market Weighton will be checked regularly and any drivers using their cars to cause alarm or distress will be considered for warnings and possible seizure of their vehicles. Pocklington Provincial: There were 81 offences in the area in March which translated into a 34% rise for the month year-on-year. There were 26 cases violence against the person (up 9%), 21 instances of criminal damage (+12%), and nine cases of burglary (a rise of 54%). Five cases of sexual offences were recorded in March (up 233%). 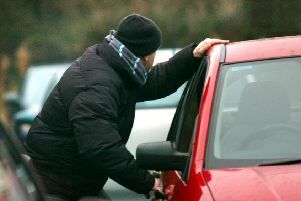 There was a drop in shops thefts and thefts of motors vehicles (down 33%) and no drug offences. Wold Weighton: There were 53 offences in March. They include violence against the person (17), 18 cases of anti-social behaviour and eight cases of criminal damage. The figures show a drop in theft from motor vehicles, theft of motor vehicles and shop theft but the overall figure is up by 16% year-on-year. Burglary was up by 41%, while anti-social behaviour (80%) and criminal damage (89%) also saw an increase. Visit www.police.uk and follow the ‘Find your Neighbourhood’ link to find out more details about crime in your area.